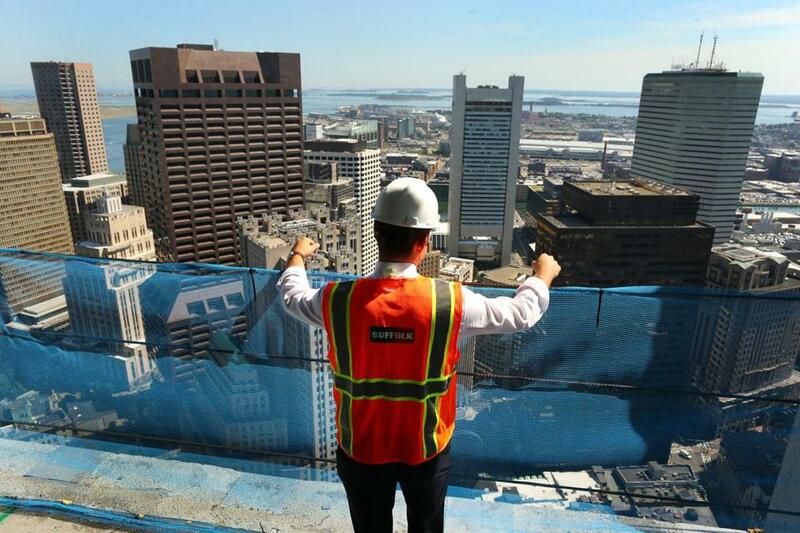 A view from floor 55 of the 60-story, $700 million Millennium Tower Boston, under construction in Downtown Crossing. 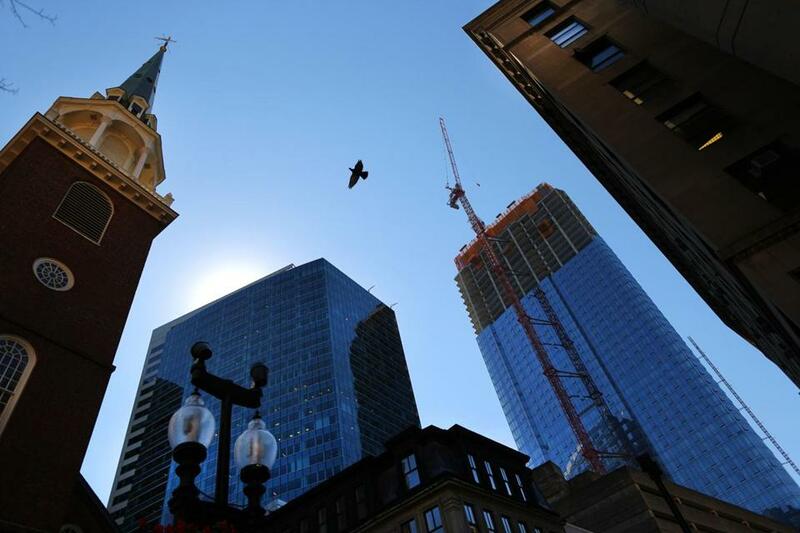 The building (right) rises over Downtown Crossing, a few blocks from The Old South Meeting House on Washington Street. 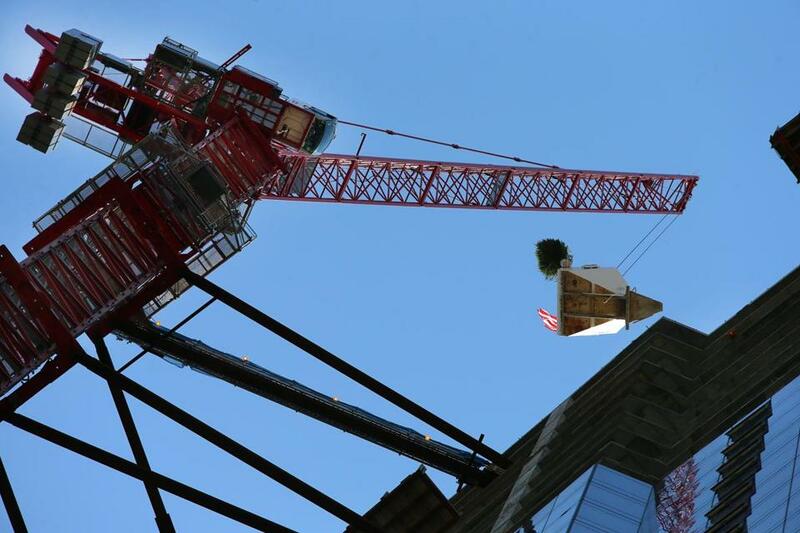 A crane lifts the ceremonial final bucket of concrete with a Christmas tree that was raised to the 650-foot height. 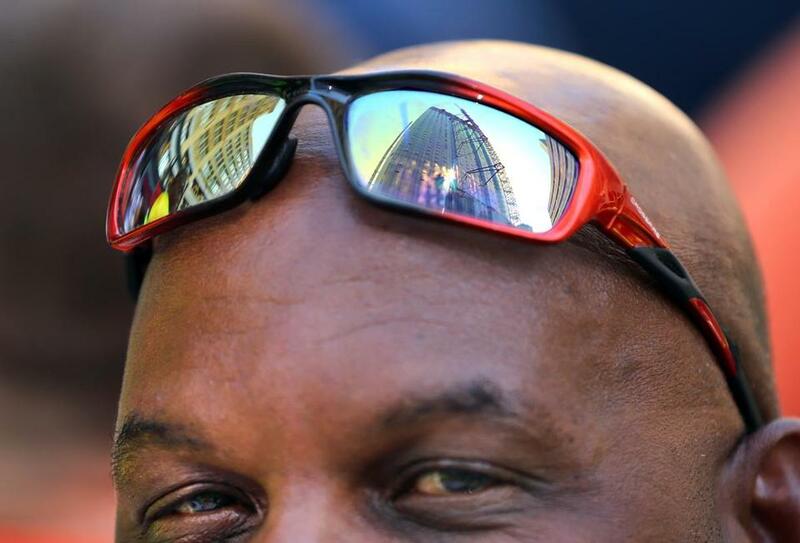 Laborer Glen Chevannes's glasses reflect the Millennium Tower. 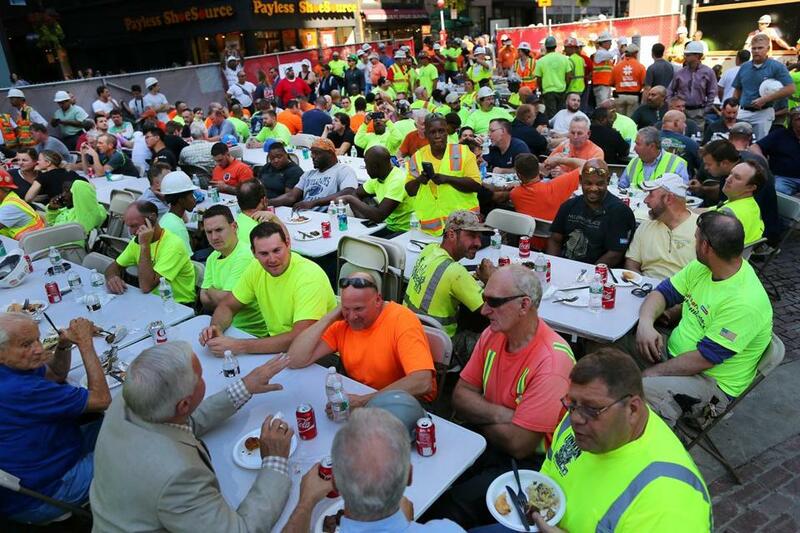 All of the Millennium Tower construction workers were treated to a lunch as they sat at tables at the bases of the building on Washington Street.